Captivating on the skills of our professionals, we are involved in rendering Stainless Steel Metal Fabrication Part. We manufacture quality Aeronautical Metal Press Component with our latest machines and equipment. These find varied applications in aeronautical, automotive and engineering industry. 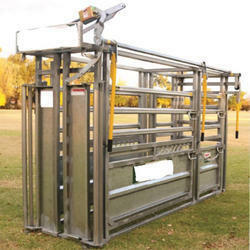 Made of fine quality material, these ensure to meet the clients expectations in terms of efficiency and durable finish. 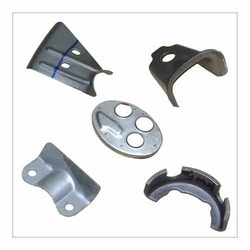 We are highly committed to clients by offering Automobile Fabricated Metal Parts. These automobile parts are manufactured in strict compliance with the industry laid norms and standards by using quality tested metal and other components. To ensure the quality of metal, we source these from the prestigious vendors of the industry. Our ranges of these CNC Fabricated Part are made with best quality material of compounds to withstand weather conditions. These CNC Fabricated Part are appreciated for their operational ease, high performance and long durability. These Fabricated Metal Parts are available in various specifications and dimensions as per the requirements of our clients. Our products Fabricated Metal Parts are developed by our highly skilled professionals using best quality material and sophisticated technology. We also help our esteemed customers in designing of products to make it best suitable in its working conditions.